IIt’s unquestionable that South Africa is filled with the most incredible attractions, the finest accommodation and exhilarating adventures for all to explore and enjoy. But what happens when you want to do more? What if you want to not only explore but give back by experiencing rural South African life in the most authentic way possible? Have you heard of Agritourism? This is a category of tourism that provides visitors the opportunity to experience everyday life on working farms, ranches, wineries and agricultural industries. FFrom outdoor recreation (fishing, wildlife study, horseback riding) and educational experiences (tours and wine tasting) to entertainment (festivals) and hospitality services (farm stays and guided tours), this industry offers visitors a more tangible and satisfying tourism experience that also happens to give back to the local community. The aim of Agritourism is to attract visitors to the countryside, in an attempt to revive the rural economies. This is a great possibility considering there are a large number of keen tourists who are eager to work on a farm, have their hands buried in soil and enjoying the rural lifestyle. Creating jobs among the rural communities. Rejuvenating local residents’ pride and culture. Enhancing communities’ quality of life. Attracting visitors to their area. Increasing the income of farming communities. 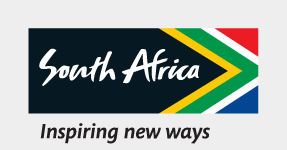 CCEO of South African Tourism, Sisa Ntshona is confident that tourism can contribute at least 20% of South Africa’s GDP and that tourism can kick-start the economy. This will have a ripple effect on all industries, including Agritourism. So why not get your hands dirty and be a part of this exciting industry by enjoying an authentic farm tourism experience. Not only will you find this insightful and educational but you’ll get a sense of pride knowing that your contribution added value to those who reside among the farming communities. Find out how to get involved on the Agritourism South Africa website.